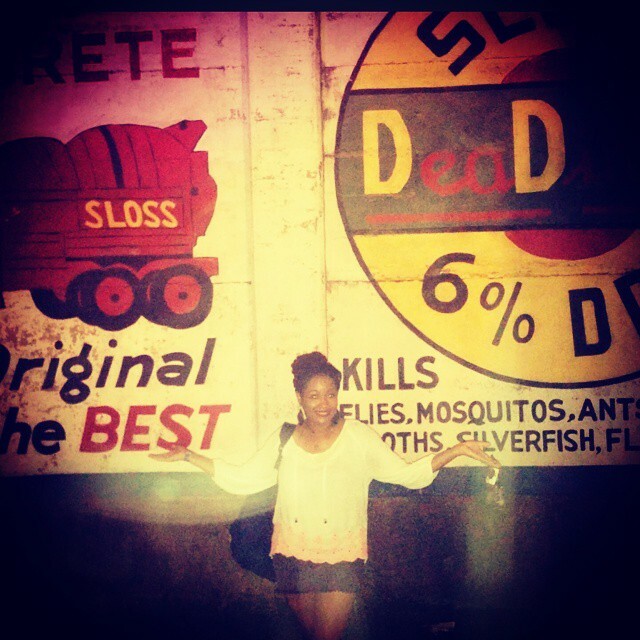 Sloss Music and Arts Festival (aka Slossfest) was held July 18-19, 2015 at Sloss Furnaces in Birmingham, Alabama at the height of the summer’s sweltering heat! 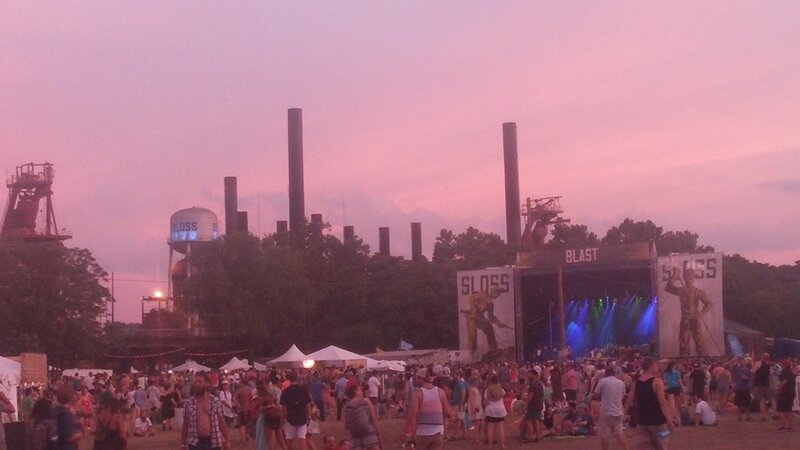 Despite the heat, Slossfest proved to be an awesome and unforgettable event. 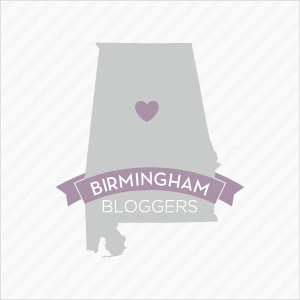 It was a two day event that spotlighted everything from great music, art, food, drink, and the Birmingham area in a way that I never thought I would see! It featured 30 plus artists including: Primus,Tyler the Creator, St. Paul and The Broken Bones, Modest Mouse, The Avett Brothers, Band of Horses, Cage The Elephant, Young the Giant, Lord Huron, Manchester Orchestra, Sturgill Simpson, The New Pornographers, Lee Bains III & The Glory Fires, Jessica Hernandez & The Deltas, Kaleo, LANY, T. Hardy Morris, Muddy Magnolias, and many more! Aside from the great music, I enjoyed sampling the great craft beer from Alabama in the various bar areas at Slossfest. 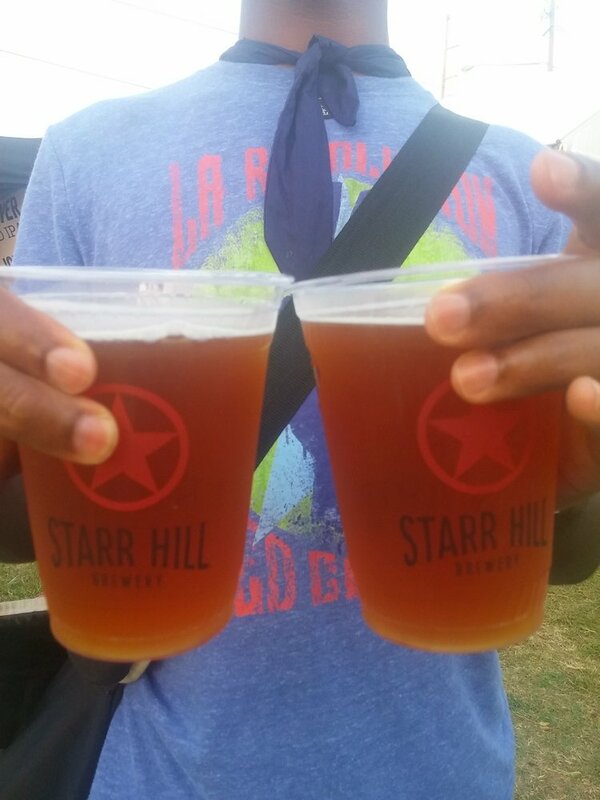 The Starr Hill All Access Area was by far my favorite and featured the Siren of Sloss Summer Pale Ale collaboration beer with Trim Tab Brewing along with their Belgian Witbier with Cherries, Soul Shine Summer Pale Ale, Reviver Red IPA, Keller Czech Pils, and Jomo Vienna-Style Lager. The Siren of Sloss Summer Pale Ale was something special and tasted like a refreshing and crisp IPA disguised as a pale ale! Cathead Distillery of Mississippi also hosted a cocktail lounge that featured mixed drinks. Piggly Wiggly hosted the Craftly Beerly Garden that featured the following Alabama breweries: Trim Tab, Druid City, Cheaha, Old Black Bear, and Singin River. The food selection was also pretty impressive and included Jim ‘N Nick’s, Cantina on Wheels, Philly Connection, Shindigs Catering, Jalapeno Corndog, Repicci’s Italian Ice, Flaming Wok, Mexi Grill, Choice Burger, Phat Daddy’s, Sprout & Pour, and Efe’s. 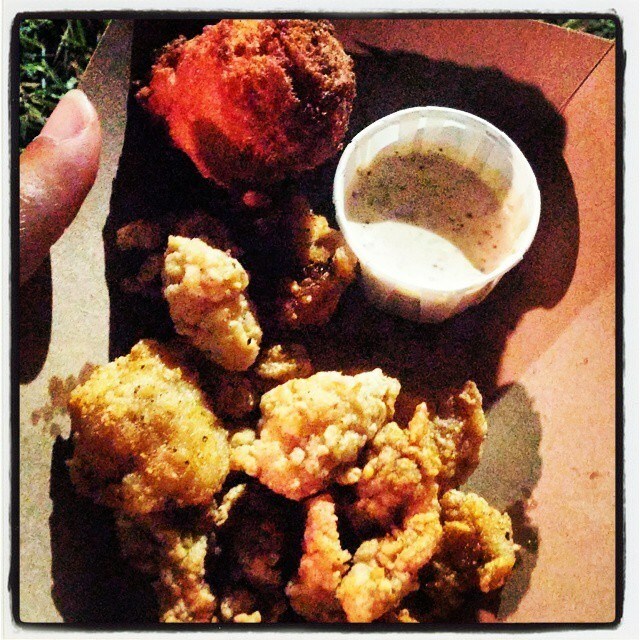 I enjoyed the insanely delicious Phat Daddy’s alligator tenders and hushpuppies and a solid Philly Cheesesteak Sandwich by Philly Connection while I was at the fest. In addition, the Sloss Metal Arts Program hosted Hands-On Iron Pouring demonstrations for attendees and allowed them to buy one-of-a-kind iron souvenirs from the demos. Various art vendors and local mixed media artists (Yellowhammer Creative, art by Kunkle, Anne Coneway, Feather wild, etc.) had booths where patrons could purchase unique art pieces. Patrons stayed hydrated by MailChimp’s convenient and free water filling stations on-site, Alabama Power offered free charging stations, and Yelp had a great water misting tent to cool down from the festival’s crazy heat during the day! 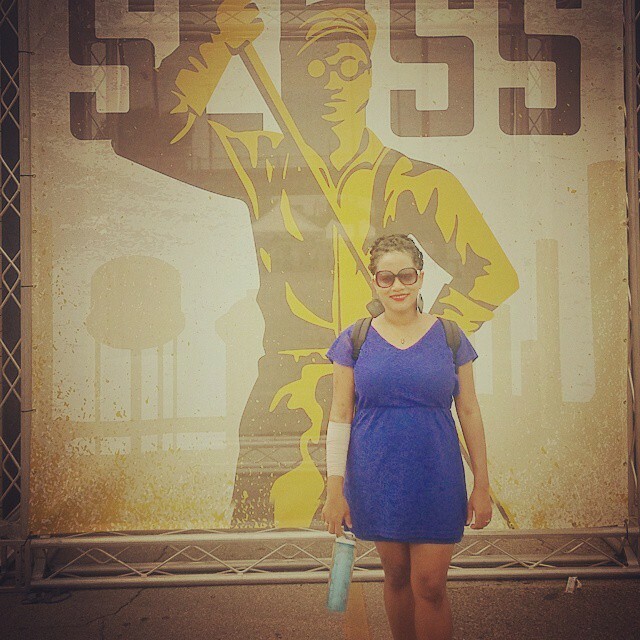 Overall, Slossfest was a special moment for Birmingham and I’m already looking forward to next year’s festival despite the crazy heat of this year’s fest! P.S. 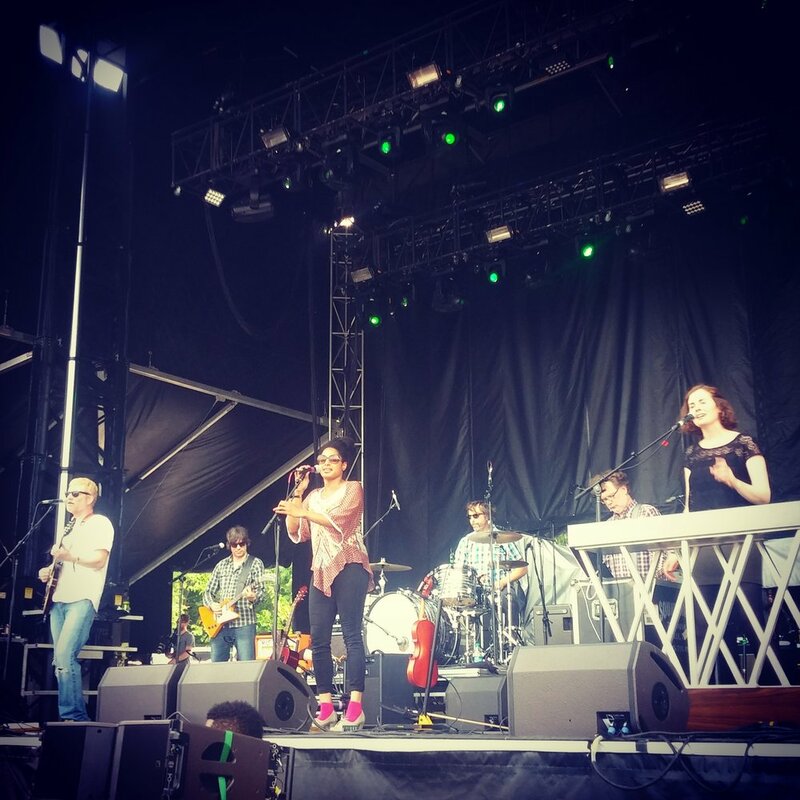 Who was your favorite artist of this year’s Slossfest or favorite memory?